I have taught in just four Bradford Schools for the entirety of my professional life (37 years) including Bradford Christian School, of which I am the co-founder. I have lead the school as Headteacher for the past 25 years and am convinced, even more, of the need to offer an alternative to parents who want a authentically faith based education. As well as leading Bradford Christian school, I also provide teacher training for teachers in CST schools and beyond. I have taught since 1990, in a range of state primary schools and also in teacher education at York St.John University. I met Mark studying for Master's degree in 1995, and we discovered we share a faith in the same God and a love for education. In 2006 we moved to Cambodia to work in a school for missionary kids, where we stayed for ten years to educate children form thirty one nationalities. Jane was principal of the primary school and in charge of special needs for 3 - 18 year olds, Mark developed a thriving high school growing from 15 to 200 students. Jane is passionate about holistic education, with God in the centre. School is about so much more than academics, and whilst these are important, education should be in partnership with parents to develop children socially, emotionally, spiritually and physically. Bradford Christian School is a place where this happens. It is a privilege to be able to pray for and with children, to teach them that they are precious and valued by God. Jane loves Jesus, loves children and loves teaching, and enjoys working with a group of people who do the same. Last year she completed the National Award for SENCos, a post graduate certificate in Special Educational Needs, which she is using in her job at BCS. I joined Bradford Christian School in December 2014 initially as the school SENCo. My previous roles and experience have been in a variety of settings, ranging from Early Years to Special Eduational Needs and Family Support Work. I am passionate about working with whole families and in Inclusive Education. My working vision for our students with Autism and SEND is that we don't try to fit Square Pegs into Round Holes. "The problem with trying to fit a Square Peg into a Round Hole is not so much the time, effort and frustration of forcing the fit, but that you end up damaging the peg." In my role as DSP Head, we provide Primary and Secondary Designated Specialist Provisions that deliver high quality, bespoke teaching and learning, in a nurturing environment with God at the centre of everything we do. I have been teaching for over 30 years. My favourite subject areas are Physical Education and Religious Studies. I have, over the years, taught most other subjects. Currently my main roles on the leadership team are overseeing the school’s finances and heading up the Middle School (Y5-8). Mark has taught since 1988, in the UK, Malawi, and Cambodia. His background is in Maths and Physics, but he has taught across the curriculum as needed. He has worked as a deputy head teacher of a large English comprehensive and has the NPQH qualification. In Cambodia he was head of secondary school, working with students from 11 to eighteen years old. His passion is allowing students to be the best they can be using the skills God has given them. He is keen for students to ask the difficult questions, particularly about faith, and he is interested in 'Sticky Faith' research from Fuller Youth Institute. FYI’s research confirms that it’s never too early or too late to start developing faith that continues to grow and lasts. Sticky Faith gives parents and leaders both a theological/philosophical framework and a host of practical relationship and programming ideas that develop long-term faith in teenagers. Mark is keen to develop faith integrated learning practice across school. Mrs Chadwick, School Business Manager and Designated Safeguarding Lead. I have worked at the school on and off for about 19 years. 17 Years as a volunteer and then the last 2 as a fully fledged member of staff. I attend Church on the Way in Idle and have been a member there for about 27 years. I am loving the challenge of my new role within the school and my 30 years in the civil service has certainly helped prepare me to be able to complete all the tasks that my new role requires me to do. Working in the school with God as the MD is something I have always wanted to do since it started and I consider it a true privilege to now be on staff here. Bradford Christian School employs teachers with a wide range of experiences in working with children and young people.  Our staff includes two previous deputy Head teachers, a previous Head of Year, a previous Department Head and a previous senior manager with responsibility for developing excellence. We have members of staff who are qualified and experienced in working with children in other fields including youth work and community drama projects. Most of our staff, experienced when they joined the school, have gained further experience in building a distinctly Christian approach to running an all-age school. The strength of our teaching staff is the quality of relationships they build with their students and a commitment to each child achieving their personal best. Staff are committed to contributing to our vision to disciple children and young people as part of a quality education. The school is a member of the Christian Schools Trust, which provides in-service training for staff. Mr Moon, the Headteacher is also a teacher trainer for the CST and provides regular equipping and envisioning into the school. He is also an Ofsted trained schools inspector, bringing this professional perspective to the ongoing development of the school. We draw on professional colleagues from our parent body to continuously develop the quality of education at the school through the governing body.